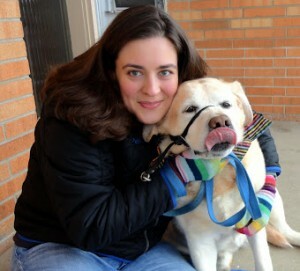 A couple of weeks ago, I went to an estate sale in Barrington that we waited forever (and I do mean FOREVER) to get into. After waiting over an hour we went in the basement there were tons of books. All kinds of books, children’s, literature, crafts and lots of really old cooking pamphlets. Like turn of the century old. Right up my alley. One of the ones I picked up was for Baker’s Coconut published in 1919. The entire book has coconut recipes in it. For all kinds of things. 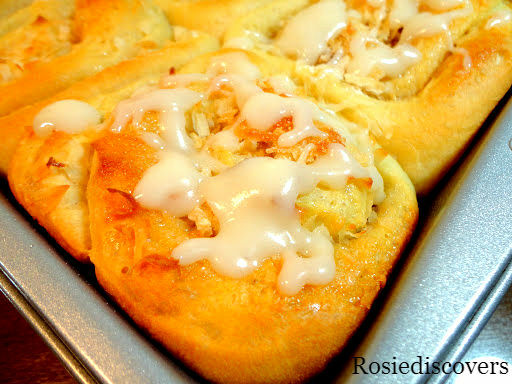 I thought these maple coconut rolls sounded so much better than cinnamon rolls. Only problem was the original recipe called for a pie crust like dough that you rolled up and sliced like cinnamon rolls. Taste wise it was fine, but definitely off putting. I figured you could use a classic cinnamon roll recipe and just change out the filling. 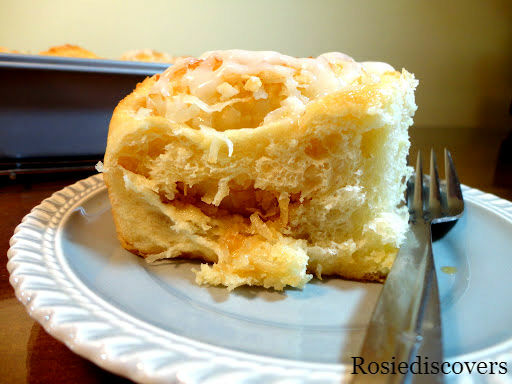 I did that earlier today and I have to say that Maple Coconut Rolls definitely rock!! The brown sugar caramelizes into a maple flavor and the coconut is just so unexpected. While I made a traditional cream cheese frosting for my rolls, I think they’d be even better if you substituted the buttermilk for coconut milk and the vanilla extract for coconut or maple extract. It would definitely kick up the flavor. For the rolls, I used America’s Test Kitchen’s recipe. I figured their recipe wouldn’t need any tweaking. I did put it in the bread machine though to mix the dough and put it through the first rise. I’ve found any yeast dough is easiest to make if you put it in the bread machine for the dough cycle. Assembly: Take your freshly risen dough and on a floured surface; stretch, pat and pull it till you reach a 12 x 16 inch rectangle. With the 16 inch side being horizontal to you. Brush entire surface with melted butter. Spread brown sugar all over surface of dough, leaving a 3/4 inch area all along the top topping free. You’ll need this edge to be able to seal your rolls when you roll them up. Then top with coconut, spreading evenly. When doubled in size, preheat oven to 350 degrees. Bake till puffy and golden brown 20-35 minutes. Mine took 20 minutes on the dot. Remove from oven and allow to cool. Mix all in a bowl. 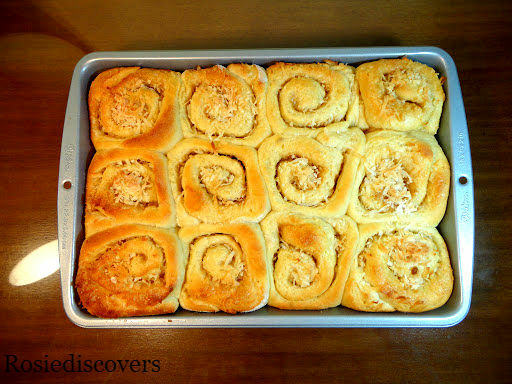 Spread over warm Maple Coconut Rolls. If you want to kick up the coconut and maple flavors, replace buttermilk with coconut milk and vanilla with coconut or maple extract. 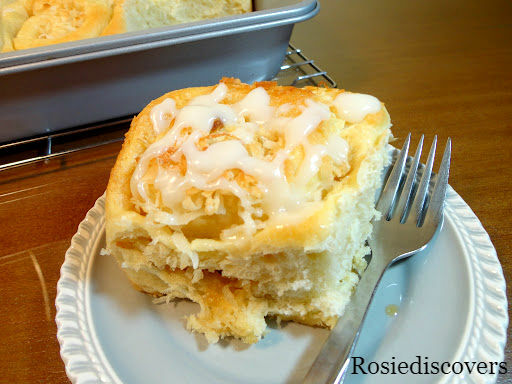 Susie Savors: These rolls were perfect for a light but slightly sinful breakfast. This version is light and fluffy and without the dense feeling of a cinnamon roll. 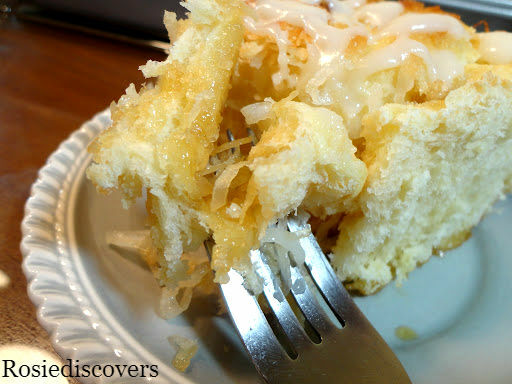 The maple coconut is sweet but the cream cheese frosting cuts back on the sweet just enough. The filling melts in your mouth, not overpowering like some breakfast confections. They did turn out a tad large but the pastry was so airy and plump that two felt like a perfect serving if that’s all you planned on eating for breakfast.